Transfer pipets (or pipettes) are a great method for transporting or dramming liquids without the mess. 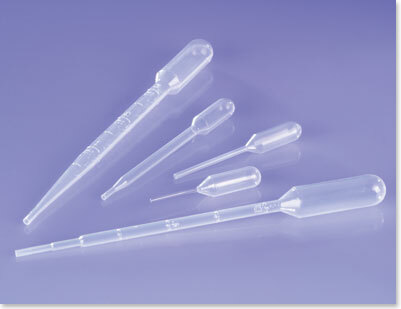 These easy to use transparent plastic pipets are available graduated, fine tip, narrow stem or miniature. We also carry a selection of funnels to choose from.